LOS ANGELES, CA – Niche.LA Video Art presents Finish That Script, a 10-week screenwriting class taught by Hollywood Screenwriter, Vince McKewin. Over 10 weeks, Vince McKewin will take 10 writers and facilitate the writing of their screenplay. Whether you’re picking up the pen for the first time, or you’re a seasoned pro with writer’s block, this exciting ten week workshop will teach you a whole new way of approaching the art of screenwriting. Have a finished script by the end of summer. Space is limited to 10. To sign up, please contact Alexandra Chun at aledosius@yahoo.com or 323-739-0137. 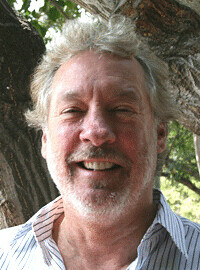 Vince McKewin is a producer and writer of both feature film and television. Feature film credits include The Replacements, Fly Away Home, and The Climb. Vince has written scripts for Warner Bros., Universal, Disney, New Line, and Paramount. Vince was a writer/producer on Las Vegas (NBC) and his play, Ad Wars, was performed at the Williamstown Theater Festival. Vince also teaches screenwriting at the UCLA Extension Writers’ Program. For me, all writing is personal. In writing over thirty screenplays for hire, whether it was a re-write, an adaptation of a book, or even if it was someone else’s original idea, I always tried to put something of myself into the characters and plots. Method actors understand this better than anyone. (I also spent eight years as a working actor.) We all have specific experiences to draw on. Those experiences are different for everyone. And that’s where we find the gold… Let’s trust that the strongest impressions of a lifetime are the great stories yet to be told. And let’s tell them out loud in a supportive atmosphere where there are no wrong answers.